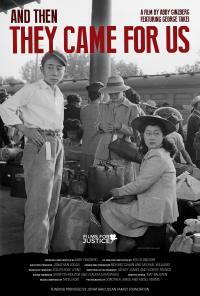 AND THEN THEY CAME FOR US is a cautionary and inspiring tale for all societies. Seventy-six years ago President Roosevelt signed Executive Order 9066, paving the way for the forced incarceration of 120,000 Japanese Americans. AND THEN THEY CAME FOR US educates audiences about the constitutional damage done in the name of national security. Thousands of American citizens lost their homes, their businesses and their families due to war hysteria and racism. Yet the validity of these actions were upheld by the US Supreme Court in 1944, based on governmental lies which were later uncovered. Featuring Japanese Americans who were incarcerated, rediscovered photos of Dorothea Lange and the story of Fred Korematsu’s long journey to justice, the film brings history into the present, as it follows Japanese Americans speaking out against the Muslim travel ban and other regressive immigration policies.